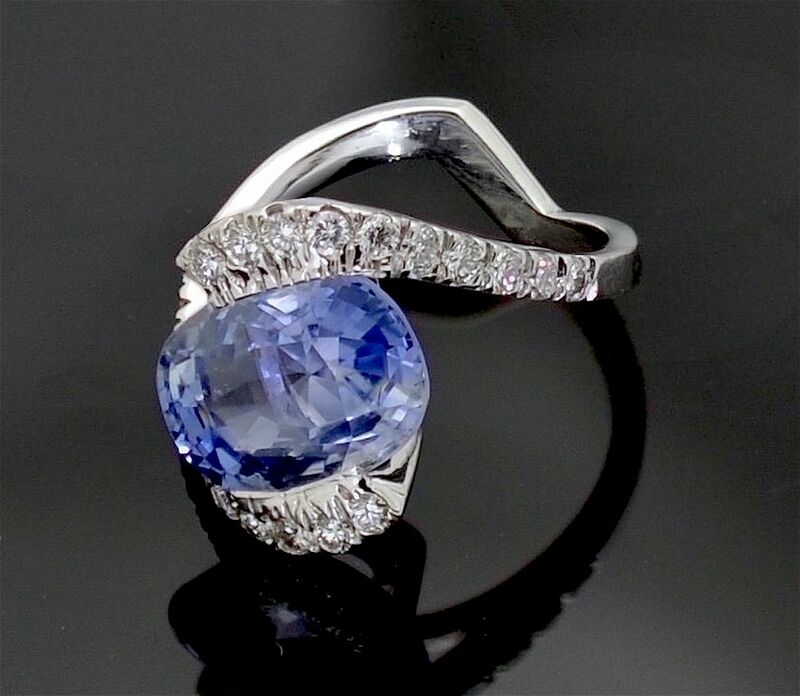 This lovely 18ct white gold ring has an oval sapphire set across the ring between diamond set open ended shoulders that sweep up from the shank along the top and bottom edge of the sapphire. 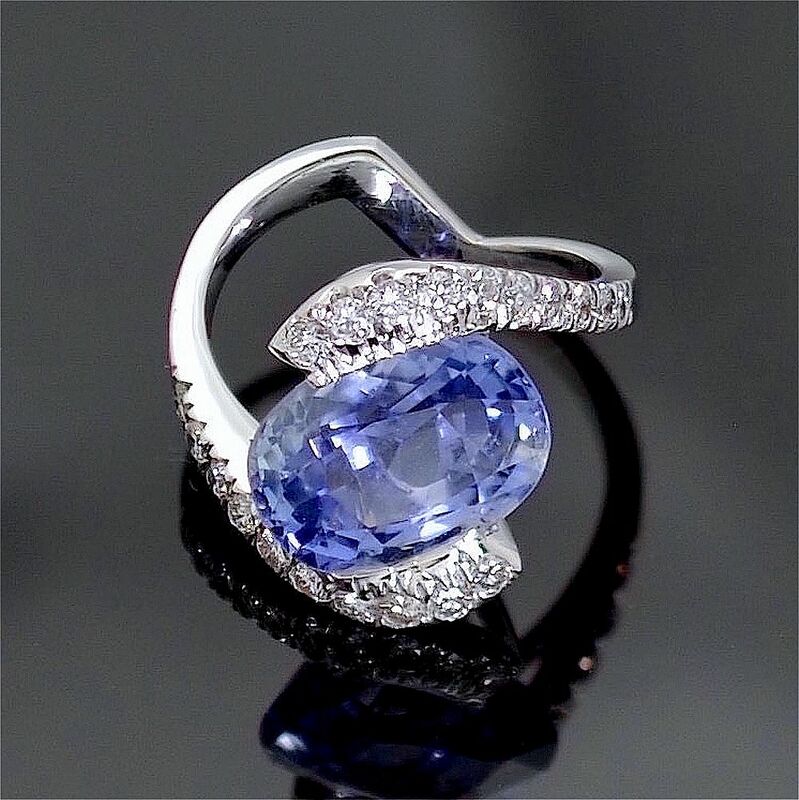 The setting gives the impression that the sapphire is floating. 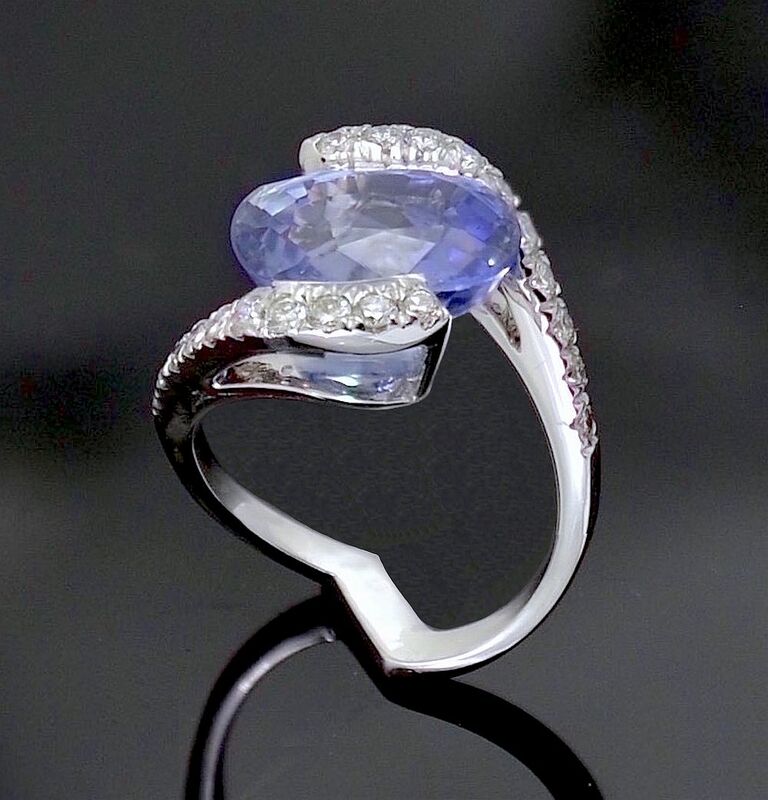 The 18ct white gold shank has a "V" shaped section at the back which prevents the ring from twisting when worn. The shank has been hallmarked by the London Assay Office for 18ct gold and 2015 and bears the sponsor's mark "A&SP" for Alan & Sue Poultney. A very simple design that looks fabulous on the finger.